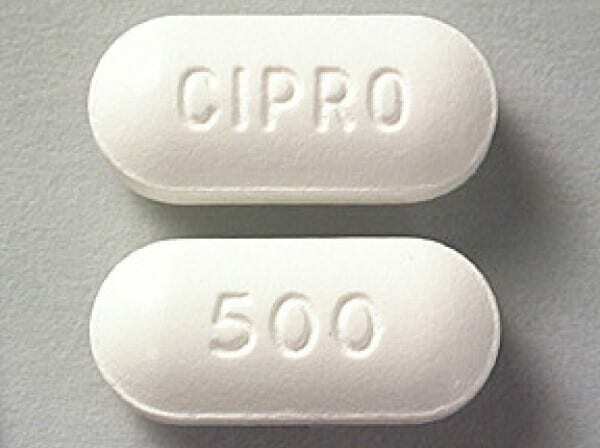 New Jersey–The FDA has announced that the use of fluoroquinolones such as ciprofloxacin (Cipro) now will warn that risk of aortic dissection or an aneurysm in certain patient populations is associated with systemic use of these antibiotics. In the statement the FDA warned that Health care providers ” should avoid prescribing fluoroquinolone antibiotics to patients who have an aortic aneurysm or are at risk for an aortic aneurysm, such as patients with peripheral atherosclerotic vascular diseases, hypertension, certain genetic conditions such as Marfan syndrome and Ehlers-Danlos syndrome, and elderly patients. Prescribe fluoroquinolones to these patients only when no other treatment options are available. Advise all patients to seek immediate medical treatment for any symptoms associated with aortic aneurysm. Stop fluoroquinolone treatment immediately if a patient reports side effects suggestive of aortic aneurysm or dissection.